The Marshmallow Experiment was a series of ground-breaking studies conducted in the late 1960’s and early 1970’s, which were led by the renowned psychologist Dr. Walter Mischel. The studies predominantly focused on self-control with regards to a participant’s ability to delay gratification. Delayed gratification is generally referred to as the ability to resist the temptation for an immediate and small reward and wait for a later and larger reward. As such, the overall premise of the Marshmallow Experiment was relatively simple; the participants (young children) were given the choice between eating one marshmallow immediately or two marshmallows if they were able to wait for 15 minutes. The results from the studies were fascinating to say the least. Although there were some participants that opted for the immediate and smaller reward, of particular interest was the observed coping strategies employed by the other participants that exhibited enough self-control to successfully wait for the later and larger reward. For example, some of the participants averted their eyes from the marshmallow, sang songs, invented games with their hands and feet, talked to themselves and some even tried to fall asleep (successfully in some instances!). Interestingly, in follow-up studies several decades later, unexpected correlations were found between the results of the participants from the original Marshmallow Experiment studies. Mischel found those that had been able to delay gratification for the later and larger reward tended to have better life outcomes further on down the track. For example, they had higher rates of educational attainment, higher capacity to handle stress, lower body mass index (BMI), lower divorce rates, lower rates of drug/alcohol addiction and better social skills. This perhaps illustrates the importance of, and long-term benefits associated with, the development of self-control and appropriate coping strategies from an early age – as an individual may be better positioned to carefully weigh up the advantages and disadvantages of instant versus delayed gratification when faced with real-world decisions as they progress through life. However, it’s important to note that despite the observed life outcomes from the follow-up studies, Mischel explained that self-control and coping strategies can be taught (and improved upon) at any age. As such, those participants that took the immediate and smaller reward do have the capacity to learn self-control and coping strategies to help them in the future where delaying gratification may be an appropriate course of action. So what does the Marshmallow Experiment have to do with personal finance? Understand the different outcomes associated with instant versus delayed gratification. You may find our article, ‘Future self-continuity: Preparing for the future’, a worthwhile read as it explains the concept of opportunity cost and the importance of taking an active approach to preparing for the future in the present (whilst still taking the time to enjoy yourself in the now). The example used in the article is centred around the benefits derived from redirecting funds allocated towards the daily coffee and lunch purchase (instant gratification) to a long-term savings plan instead (delayed gratification). Have appropriate coping strategies in place. Coping strategies can be individualistic and situationally based when it comes to their effectiveness. As such, it’s important to develop, practice, refine and employ coping strategies that are not only appropriate to you, but also to the situations that may present now and into the future. Like the participants in the Marshmallow Experiment, coping strategies may involve self-distraction techniques (maybe not the ones mentioned earlier!) or they could centre on other techniques, such as avoidance (removing yourself from environments that foster temptation) and visualisation (visualising your financial goals and objectives, such as paying down debt or saving and investing for the future). 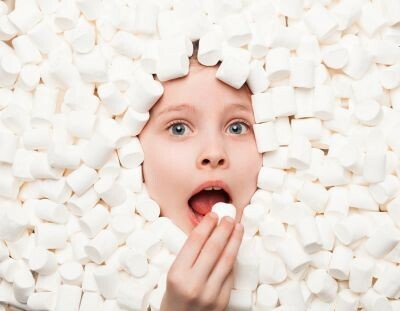 Whilst the Marshmallow Experiment may sound like a funny experiment, it did produce results that have given us a fascinating insight into the importance of self-control and appropriate coping strategies when dealing with decisions involving instant versus delayed gratification. This has potential applications for us not only in several areas of our personal finance (cashflow, debt management, investments, and superannuation), but also how we may decide to approach the time and direction we take in educating our children on personal finance basics, such as budgeting, spending and saving. Ultimately, how we spend our money is entirely up to ourselves and in some instances it’s an unavoidable necessity (debt repayments, groceries, utilities, insurances etc. ); however, each time you do make a decision regarding your money, perhaps take a moment or two to consider whether that course of action will move you one step closer or one step further away from reaching your financial goals and objectives.